Picked on, pecked, and jostled, Daisy the hen is not quite as happy as her Happy Hens market basket might suggest. One evening, fed up with the other pushy hens, Daisy crawls into one of the baskets by the river, and falls asleep. 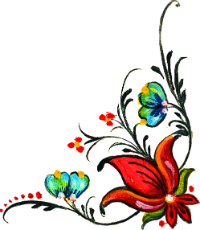 Unaware of the rising river, this put-upon bird winds up floating downstream, past marauding monkeys, snorting water buffalo, and a greedy fisherman. 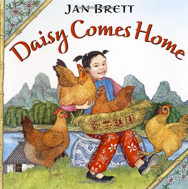 Will Daisy ever make her way back to the home of the little girl Mei Mei and the six happiest hens in all of China?